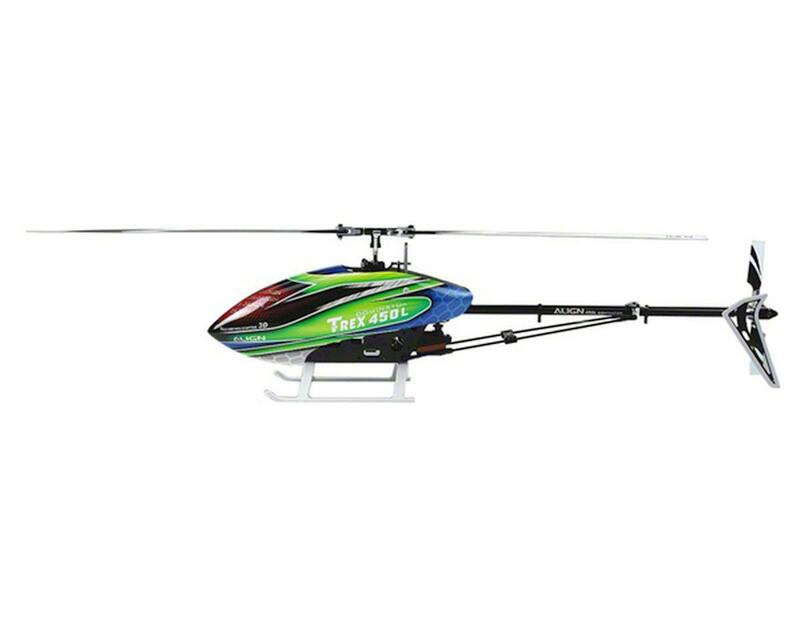 This is the Align T-REX 450L Dominator 6S Super Combo Helicopter Kit, including the MicroBeast Plus Flybarless Controller. The incredible T-Rex 450 has been a trend setting helicopter since its introduction. In fact, there is a good chance that every long time enthusiast has probably owned at least one! Now the T-Rex 450 evolution continues, with even more innovative design features, known as the T-Rex 450L Dominator. It is an ideal model for pilots of every skill level. T-Rex 450L eliminates the impression people have on T-Rex 450. 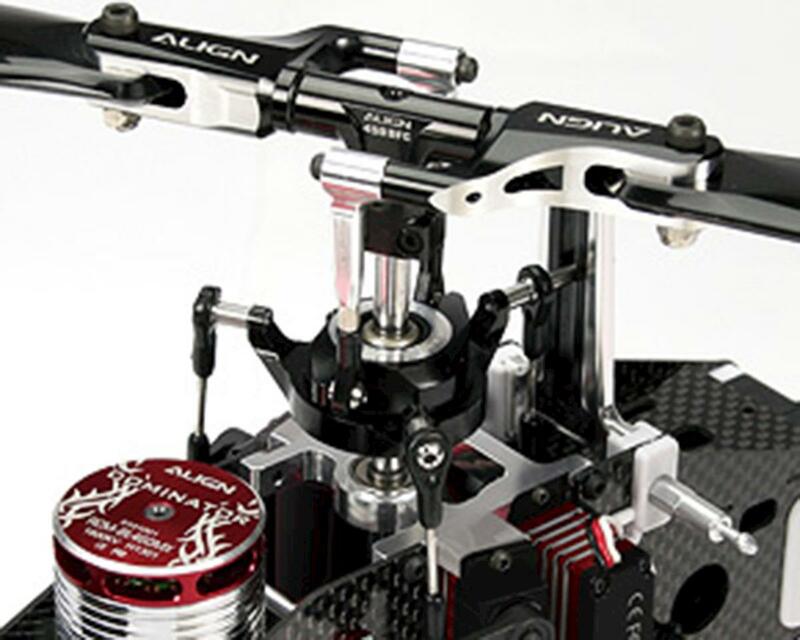 With material integration technology utilized on side frame design, and has features previously found only on larger models, such as battery mounting rails, top mounted motor, 700E DFC type main bearing block with integrated servo mounts, the 450L shares a striking resemblance to larger contest grade models. The frame reinforcement plates not only improve the helicopter’s overall rigidity and anti-torsion characteristics, the beautiful red anodizing also creates highly pleasing aesthetics. In addition, the T-Rex 450L cleverly expands on the core concepts of T-Rex 450 Pro designs, to carry on the heritage of its design excellence. The 450L is equipped with the DFC flybarless head assembly, resulting in even better flight stability. The 460MX (1800kv) motor is optimized for 6S voltage, and was tailor made for the T-Rex 450L DOMINATOR. When paired with RCE-BL45X brushless speed controller, the motor has superior efficiency, high power output, extreme torque, and low current, low temperature. With cutting edge design concepts and top grade electronics, T-Rex 450L Dominator surpasses traditional flight performance with higher stability, extreme power, superior control feel, yet maintains the convenience of a smaller size machine. The MicroBeast Plus is based on the popular MicroBeast and is leading the next generation of the BeastX flybarless revolution. MEMS sensors of the latest generation measure the aircraft‘s rotational movement with unprecedented precision, and transmit the data digitally in real time to the control system. These sensors are insensitive to typical vibrations of a model helicopter. The housing made of plastic composite material keeps the weight of MicroBeast PLUS sensationally low. Included 460MX (1800KV) motor is tailor made 6S voltage and the T-Rex 450L DOMINATOR, featuring superior efficiency, high power output, extreme torque, and low current, low temperature. Includes RCE-BL45X electronic speed controller,capable of 2S-6S lipos, with switching BEC featuring variable voltage adjustment between 5V-6V. Seriously fun heli! I own 700-800 helis as well but love this size for its ease. Throw it in the car and go. This is a very stable heli that is extremely capable. All components worked great. The micro beast fbl unit is pretty good and easy to learn with a YouTube video or two. And I can adjust quickly and easy. I have almost 150 flights with no mechanical maintenance issues. With 6s I was impressed how cool everything is after hard 3d. I had drained a battery doing only tick tocks and motor, controller, and batt were pretty warm but not hot to the touch. I do have one gripe though. The speed controller is acting strange and hesitates for 5 seconds or so when switching to idle up 2. It did not used to do this and it started about 60 flights in. Not sure why. I've owned 3 trex combo kits in the past and never experienced this before. I've always upgraded my helis but with my larger much more expensive helis I thought I'd keep this guy stock and use this to get jitters out and practice. I am swapping controller out for Hobbywing 50 amp. This is a is a great deal for a very fast machine! Simply can't go wrong here with this purchase and I would highly recommend this heli. Good quality kit; cannot beat this heli for the price right now.